Course is playable but it can be a bit tough in some places. The fairways are super narrow, some with branches growing across. It doesn't appear like the course is being taken care of. I would suggest skipping this course. 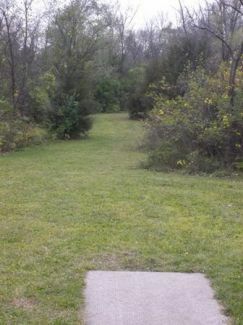 Description: Heavy woods with very tight fairways and blind baskets (a few open holes). Multiple tees. Pro tees marked, challenging from long tees. May help to bring a spotter if you tend to go OB. Watch for poison ivy. Camping available; search online for Winnebago County campgrounds. Local Directions: From I-39/I-90: Take the Roscoe/Rockton exit ramp and turn left. In Rockton (3 miles west) turn left (south) on Blackhawk Blvd. (Hwy 75). Go across the river then turn left on Williamson Pkwy (3rd left after you cross the bridge). Turn left again at the top of the hill onto Falcon Point Pl. to the park at the end.